I long to live fearlessly, exposing my heart. I pray to live truthfully, sharing my real thoughts. I strive to live openly, learning always. Always learning. I want to see you. See into you. I don't ever take for granted the chance to know someone. It's such an honor when someone lets you step into their soul ~ even just a little bit. When I was taking this shot, I was focused on the intricate design of each wing. And I was trying to capture the light as it reflected off of the wing's delicate surface. Little did I know, the real magic in the photo would be the shadow of the wing. The shadow that showed up underneath. A shadowy depth that would have never been revealed if not for the wing's transparency. 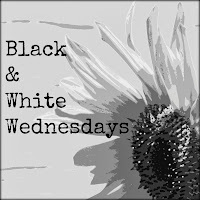 Please link up here and share your black & white photos! Neat photo and thought-provoking message! You always have such wonderful words to share with us. And this photo is one of your best. Eine sehr schöne Detailaufnahme ! What an amazing picture and such a deep and true thought, I so agree! Excellent shot - I do declare, the dragonflies around here are hyped up on 'zoom' because they almost never slow down enough for a lovely portrait session. Their wings are quite fascinating. Lovely thoughts and I truly agree. I think it is lovely to know and be known by others. That does require a leap of faith in the transparency department. So lovely, your photo is gorgeous! How elegant! Lovely photography! for BW! I love this. Makes me think how many times I am focused on the wrong thing and miss the beauty of life. Far too often. Dontcha just love those little surprises and gifts that God throws our way without us even noticing at first?!? Fantastic shot! Such a great photo and post. And, how many people will reveal anything...and mostly because they don't reveal it to themselves. So, if you get a glimpse, it is a treasure. Beautiful capture and wonderful interpretation of your image. 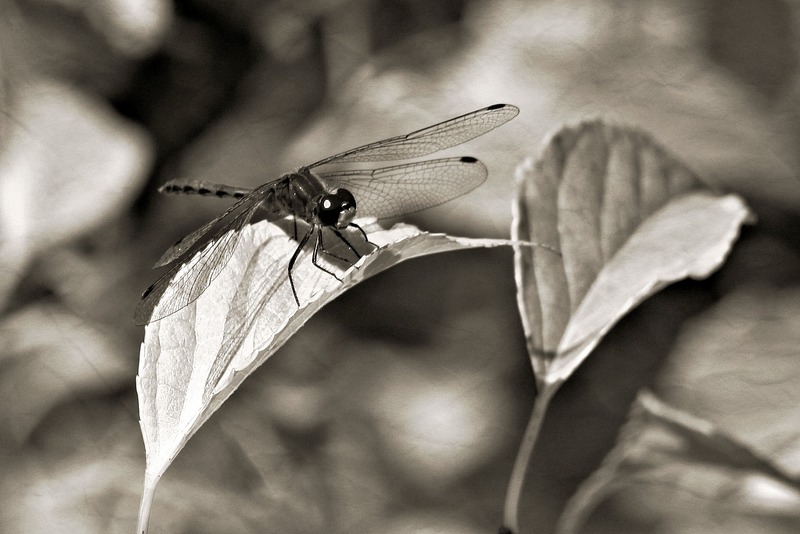 Although I was terrified of dragonflies as a child, now I see how beautiful they are. Exposing our hearts takes courage, but the rewards are great. Wow! Gorgeous shot. I am also mesmerized by dragon fly wings. I wish more things in life were transparent! Wonderful detail, especially on the wings.